Today we’ve put together a list of some fabulously painted furniture pieces. 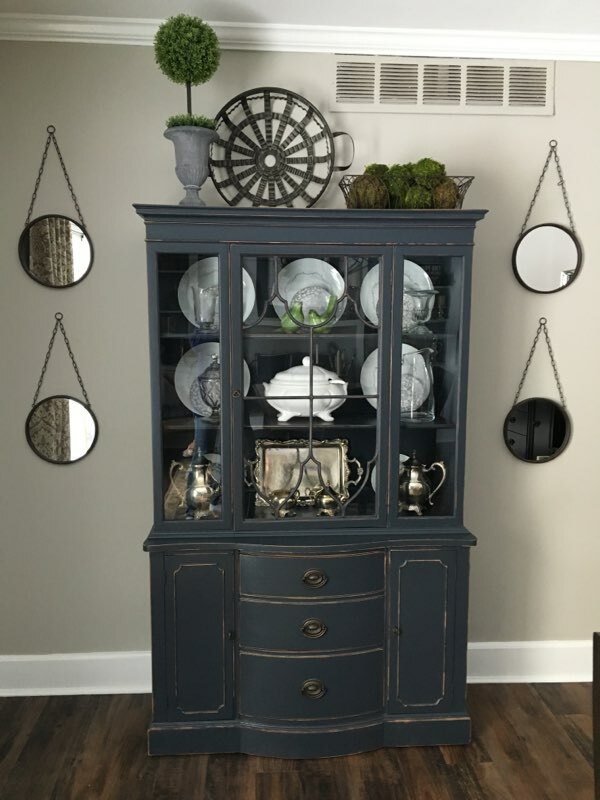 Not only will you find similar pieces at At All Around the House Interiors in Macomb County, MI, but we can actually take your piece of furniture and custom paint it for you. So instead of selling that old dresser at your yard sale this summer, why not transform it into a modern, vintage inspired piece? Love that hutch but don’t love the color? Upcycle! Paint it white, black or a even a bright color. 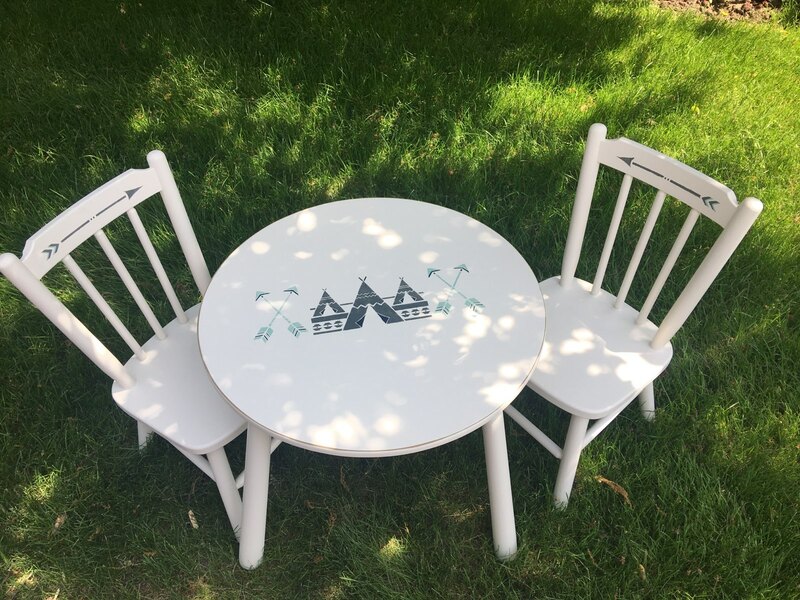 In addition to painting your furniture, we can also add stenciled details which really makes your piece one of a kind. 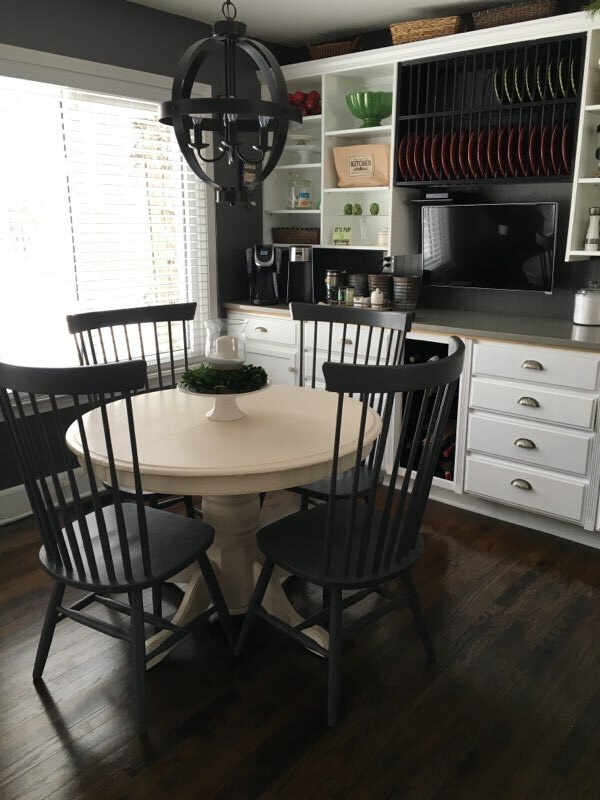 Looking to fix some mix-matched chairs in your dining room? A fresh coat of paint will give them a stunning makeover. 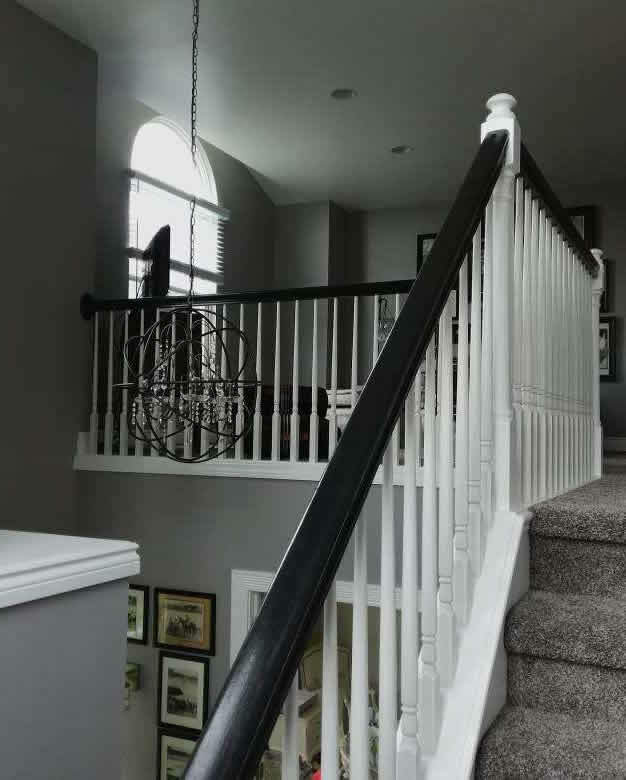 Here is a photo of a staircase that we custom painted for a client. You aren’t limited to just furniture pieces. We also paint kitchen cabinets, bathroom vanities and laundry rooms. Dress up a dresser with a fresh coat of white paint. Hello gorgeous. 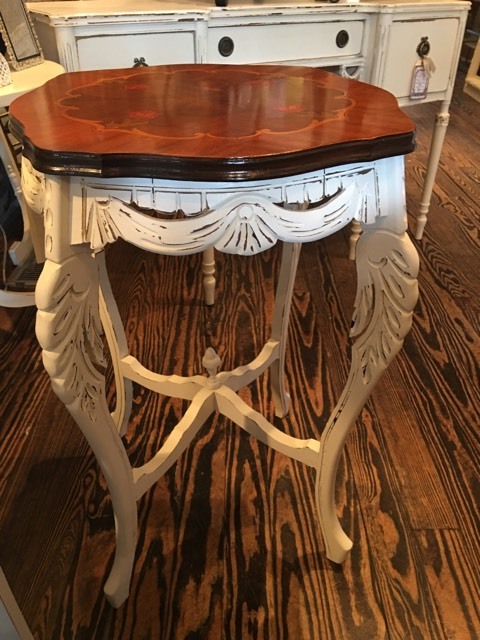 Here is a table with a stained top/painted base look. 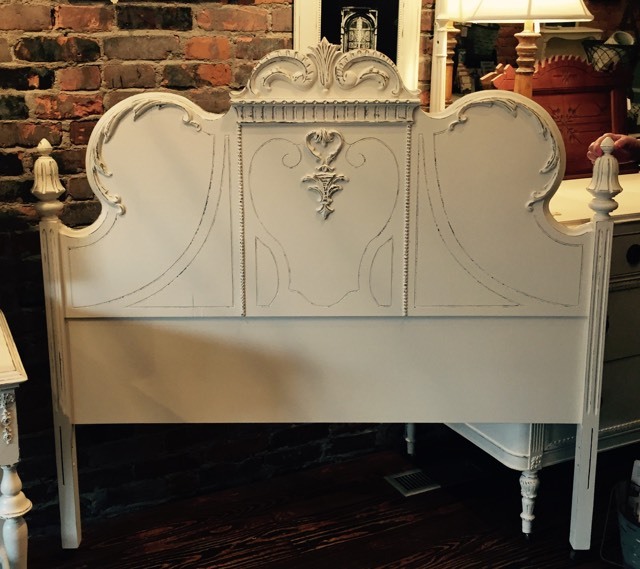 Before you give that old headboard away, try giving it a makeover first. We hope these images inspired the creativity in you. If you have any furniture or decor that you think would be a good candidate for a makeover, call All Around the House Interiors at: 586-242-1588. Or stop in our Macomb County store located in Downtown Romeo to browse through our furniture and home decor. We are always getting in new inventory so be sure to check out our latest finds!